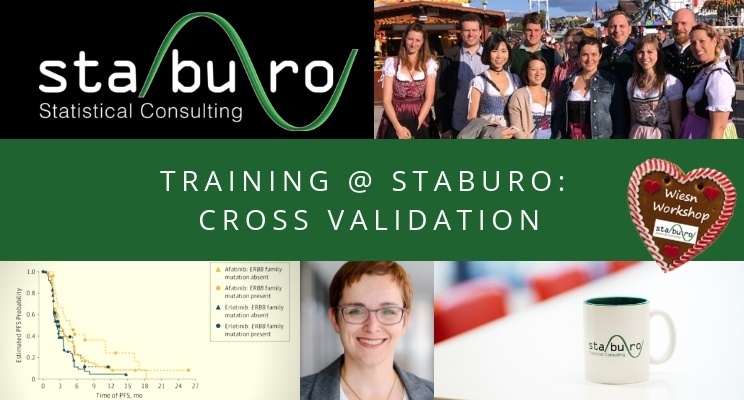 Nicole Krämer, project leader Translational Medicine and Biomarker, explained how we can use cross-validation to obtain reliable subgroup effects. The identification of patient subgroups, who benefit from a new treatment, is of crucial importance in precision medicine. Many data-driven subgroup identification algorithms are out there and in general, they differ in the underlying estimand and in the way the subgroup is identified. However, due to their data-driven nature, the relative treatment effect (e.g. the hazard ratio or risk difference) within the identified subgroup, is almost always too good to be true and cannot be reproduced in a new trial. Nicole explained how to apply cross-validation, to obtain more reproducible subgroup effects. In each cross-validation split, the subgroup identification algorithm is applied to the training set. The obtained rule is used, to assign patients in the test set, to the subgroup or its complement. This cross-validated assignment can then be used, to estimate the subgroup effect.